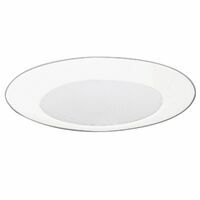 Diameter of 6-1/2", white trim for use with 5" incandescent rounds. 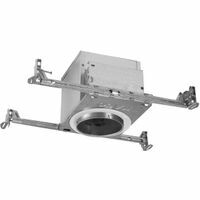 Non-insulated or insulated housings. 75 watt maximum. Bulb sold separately. For use with 5" housings: Halo model numbers (Orgill SKU numbers), H5T (424.1535), H5ICAT (651.3956) and H5RT (635.6182).